Whether you are a year round desert dweller or a seasonal snowbird, a vibrant outdoor lifestyle is what probably landed you here in the Coachella Valley. Golfing, hiking, or just spending time with family and friends and enjoying the beautiful desert environment means being outdoors. Cold beverages around a cozy firepit after the sun sets behind Mount San Jacinto or cooking your favorite foods in your outdoor kitchen after a spirited round of golf. Outdoors is where the action is! So where do you start? The secret is a great design, quality products and an expert installation. 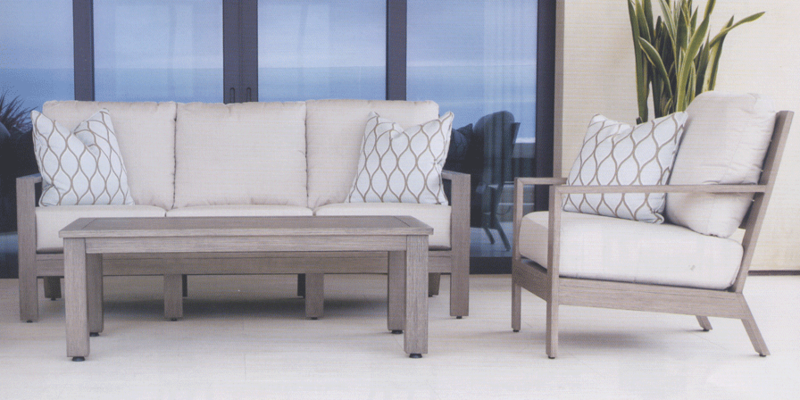 You start with Outdoor Living Concepts! 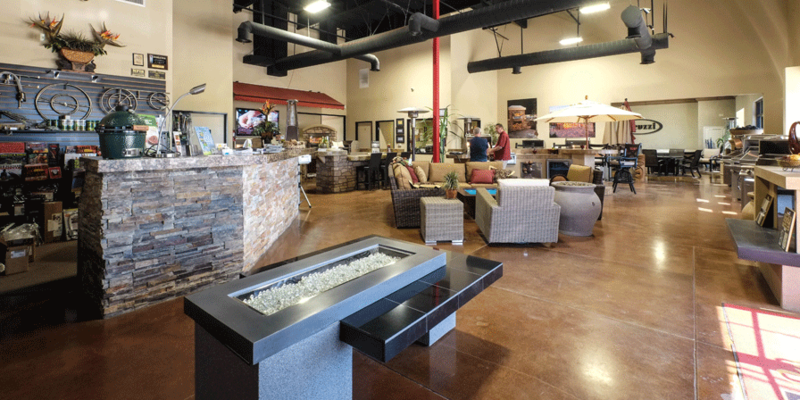 Located in the Desert Business Park just west of Del Webb Sun City off of Washington St. A contractor’s design showroom open to the public. With over 30 years of experience, Bob Clay supervises a seasoned crew and is personally involved in all aspects to insure all projects end with you the customer extremely happy! They start with a free on site design consultation. 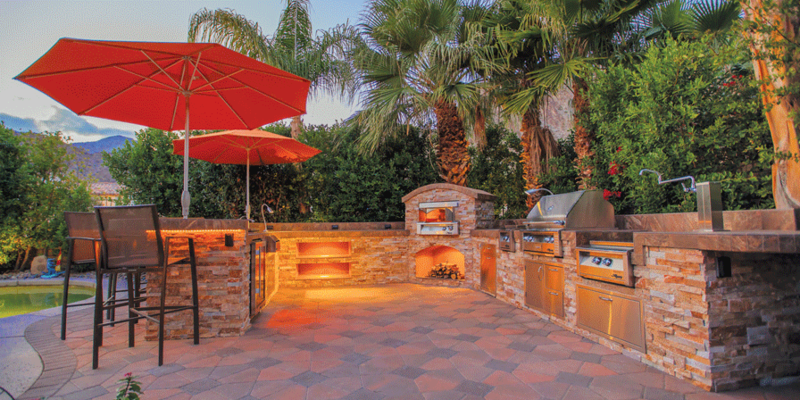 Provide custom 3D CAD drawings and back it up with some of the finest brands of outdoor products including Alfresco and Viking grills, True refrigeration and Sunsetwest patio furniture. 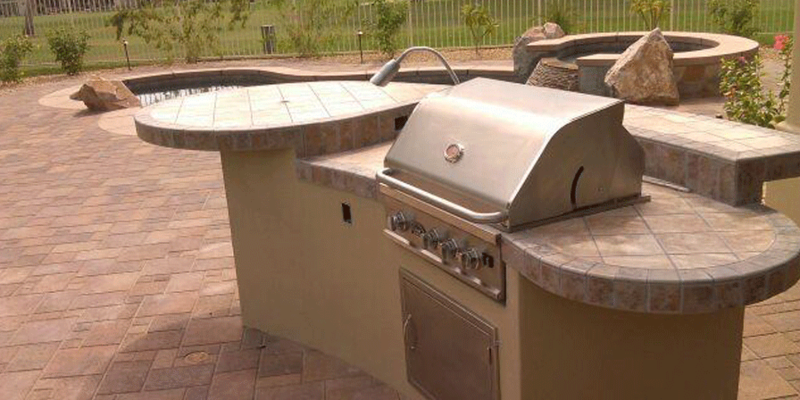 Professionally trained installers put the finishing touches on your backyard paradise. Now start enjoying! 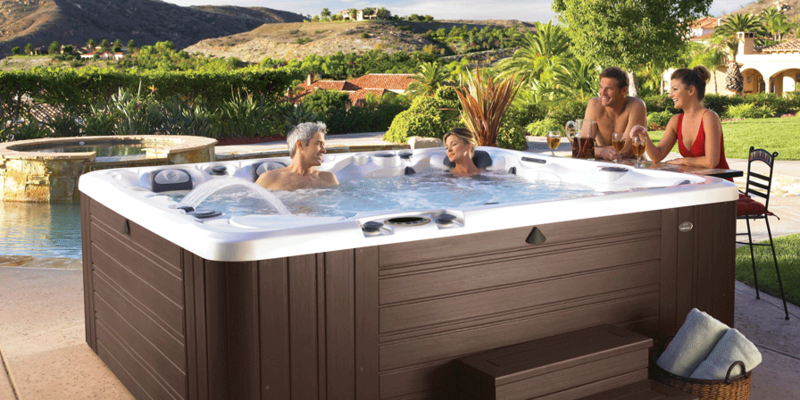 Oh by the way, they are also the Jacuzzi brand above ground spa dealer! 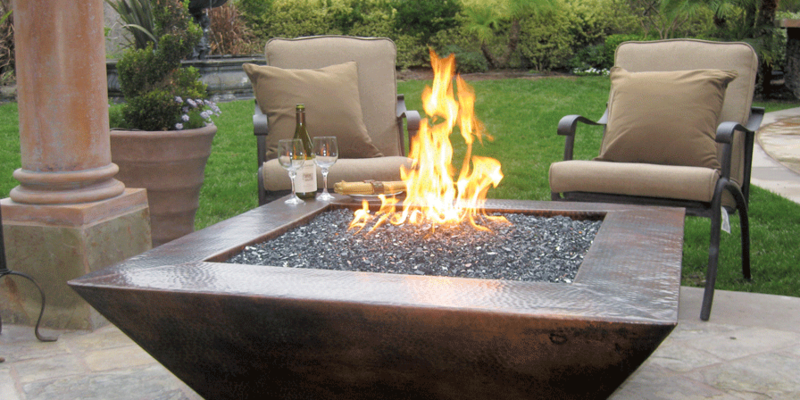 So, if you are trying to create your own backyard paradise, start with the best, Outdoor Living Concepts!